We are known for two things, exceptional service and precision sharpening. Neither we are willing to compromise. "WORLD CLASS Sharpening. Thank you!" "This was such an easy process. Quick turnaround and the knives are sharper than new!" "Service was speedy and now all my knives are ready for hunting season. Thank you." "Unbelievably sharp! I am so impressed!" "I don't think they were this sharp when I bought them. Amazing!" "They refurbished my Grandfather's old pocket knife and it almost brought tears to my eyes. Thank you." "I can cook again! I will definitely be using your company again. Very fast and Very SHARP!! Thanks a million"
"I had a set of old knives from my grandmother, that she used to cook with. I was very nervous about having someone refurbish them because they are so special to me. But, Burrbenders did an unbelievable job! I was speechless when I saw them. My Grandmother would be so proud to see them." "Thank you! Just in time for hunting season." "I am so glad I found your company. Great job!" "WOW! Another great job! 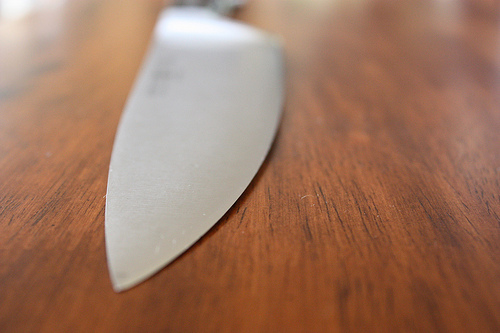 Thanks a bunch for always making my knives as sharp as they can be." "You make my fishing season so much easier. Thanks"
"I didn't think the knives could look so GOOD! I almost don't want to use them. But, I will." "They are by far the sharpest knives I ever used! Unbelievable! Thank you!"